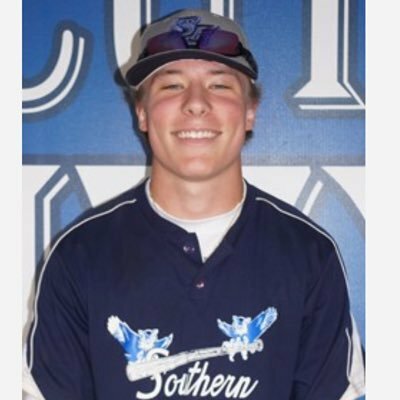 Nolan Cloutier, from Wallingford Ct is an outfielder for the Southern Owls and ladies and Gentlemen. Cloutier is FULL of clout! Through 25 At-Bats thus far in the season Cloutier is batting over .400 while only striking out 5 times compared to 3 walks. Digging into the games Cloutier has played thus far, only two games has Cloutier been held hitless. Three of the 7 he has 2 hits, and one game (Feb. 23rd Vs Molloy) he got 3 hits resulting in doubles and bringing home a couple RBI's. On the defensive side, he has a 1,000 Field % with 10 Put outs during the first seven games of the season. And while I know you're probably looking at those numbers like what? Don't worry, when it comes to outfielders you don't judge the initial stats but put outs and such. Rather you go based on how the players ranges to his (glove-arm) side plus his reading of the baseball off the bat. Cloutier by all reports can track a baseball no matter the ballpark. As everyone knows Bristol's Muzzy Field has a deep CF while the corners have some spacious territory near the foul lines. Cloutier can handle Muzzy Field. The Sheehan product being a local kid allows for family and friends to witness his talent, and the fact he's going to be a future Bristol Blues this upcoming summer makes it that much more exciting.